Nickname(s): "Hogtown", "The Queen City", "The Big Smoke", "Toronto the Good"
Toronto (/təˈrɒntoʊ/ ( listen) tə-RON-toh) is the capital city of the province of Ontario and the largest city in Canada by population, with 2,731,571 residents in 2016. Also in 2016, the Toronto census metropolitan area (CMA), the majority of which is within the Greater Toronto Area (GTA), had a population of 5,928,040, making it Canada's most populous CMA. Toronto is the anchor of an urban agglomeration, known as the Golden Horseshoe, in Southern Ontario on the northwestern shore of Lake Ontario. A global city, Toronto is a centre of business, finance, arts, and culture, and is recognized as one of the most multicultural and cosmopolitan cities in the world. Indigenous peoples have travelled through and inhabited the Toronto area, situated on a broad sloping plateau interspersed with rivers, deep ravines, and urban forest, for more than 10,000 years. After the broadly disputed Toronto Purchase, when the Mississauga surrendered the area to the British Crown, the British established the town of York in 1793 and later designated it as the capital of Upper Canada. During the War of 1812, the town was the site of the Battle of York and suffered heavy damage by United States troops. York was renamed and incorporated in 1834 as the city of Toronto. It was designated as the capital of the province of Ontario in 1867 during Canadian Confederation. The city proper has since expanded past its original borders through both annexation and amalgamation to its current area of 630.2 km2 (243.3 sq mi). French traders founded Fort Rouillé in 1750 (the current Exhibition grounds were later developed here), but abandoned it in 1759 due to the turbulence of the Seven Years' War. In 1793, Governor John Graves Simcoe established the town of York on the Toronto Purchase lands, naming it after Prince Frederick, Duke of York and Albany. Simcoe decided to move the Upper Canada capital from Newark (Niagara-on-the-Lake) to York, believing that the new site would be less vulnerable to attack by the United States. The York garrison was constructed at the entrance of the town's natural harbour, sheltered by a long sandbar peninsula. The town's settlement formed at the eastern end of the harbour behind the peninsula, near the present-day intersection of Parliament Street and Front Street (in the "Old Town" area). For brief periods Toronto was twice the capital of the united Province of Canada: first from 1849 to 1852, following unrest in Montreal, and later 1856–1858. After this date, Quebec was designated as the capital until 1866 (one year before Canadian Confederation). Since then, the capital of Canada has remained Ottawa, Ontario. The city received new European immigrant groups beginning in the late 19th century into the early 20th century, particularly Germans, French, Italians, and Jews from various parts of Eastern Europe. They were soon followed by Russians, Poles, and other Eastern European nations, in addition to Chinese entering from the West. As the Irish before them, many of these new migrants lived in overcrowded shanty-type slums, such as "the Ward" which was centred on Bay Street, now the heart of the country's financial district. As new migrants began to prosper, they moved to better housing in other areas, in what is now understood to be succession waves of settlement. Despite its fast-paced growth, by the 1920s, Toronto's population and economic importance in Canada remained second to the much longer established Montreal, Quebec. However, by 1934, the Toronto Stock Exchange had become the largest in the country. On July 8, 2013, severe flash flooding hit Toronto after an afternoon of slow moving, intense thunderstorms. Toronto Hydro estimated that 450,000 people were without power after the storm and Toronto Pearson International Airport reported that 126 mm (5 in) of rain had fallen over five hours, more than during Hurricane Hazel. Within six months, on December 20, 2013, Toronto was brought to a halt by the worst ice storm in the city's history, rivaling the severity of the 1998 Ice Storm. Toronto hosted WorldPride in June 2014 and the Pan American Games in 2015. On April 23, 2018, a van attack by a lone perpetrator killed ten people in the North York City Centre within Toronto's northern district. On July of the same year, there was a mass shooting in the Danforth neighbourhood that killed two people. Toronto covers an area of 630 square kilometres (243 sq mi), with a maximum north-south distance of 21 kilometres (13 mi) and a maximum east-west distance of 43 km (27 mi). It has a 46-kilometre (29 mi) long waterfront shoreline, on the northwestern shore of Lake Ontario. The Toronto Islands and Port Lands extend out into the lake, allowing for a somewhat sheltered Toronto Harbour south of the downtown core. The city's borders are formed by Lake Ontario to the south, Etobicoke Creek and Highway 427 to the west, Steeles Avenue to the north and the Rouge River and the Toronto-Pickering Townline to the east. The city is mostly flat or gentle hills and the land gently slopes upward away from the lake. The flat land is interrupted by numerous ravines cut by numerous creeks and the valleys of the three rivers in Toronto: the Humber River in the west end and the Don River east of downtown at opposite ends of Toronto Harbour, and the Rouge River at the city's eastern limits. Most of the ravines and valley lands in Toronto today are parklands, and recreational trails are laid out along the ravines and valleys. The original town was laid out in a grid plan on the flat plain north of the harbour, and this plan was extended outwards as the city grew. The width and depth of several of the ravines and valleys are such that several grid streets such as Finch Avenue, Leslie Street, Lawrence Avenue, and St. Clair Avenue, terminate on one side of a ravine or valley and continue on the other side. Toronto has many bridges spanning the ravines. Large bridges such as the Prince Edward Viaduct were built to span wide river valleys. Despite its deep ravines, Toronto is not remarkably hilly, but its elevation does increase steadily away from the lake. Elevation differences range from 75 metres (246 ft) above sea level at the Lake Ontario shore to 209 m (686 ft) ASL near the York University grounds in the city's north end at the intersection of Keele Street and Steeles Avenue. There are occasional hilly areas; in particular, midtown Toronto has a number of sharply sloping hills. Lake Ontario remains occasionally visible from the peaks of these ridges as far north as Eglinton Avenue, 7 to 8 kilometres (4.3 to 5.0 mi) inland. The geography of the lake shore is greatly changed since the first settlement of Toronto. Much of the land on the north shore of the harbour is landfill, filled in during the late 19th century. Until then, the lakefront docks (then known as wharves) were set back farther inland than today. Much of the adjacent Port Lands on the east side of the harbour was a wetland filled in early in the 20th century. The shoreline from the harbour west to the Humber River has been extended into the lake. Further west, landfill has been used to create extensions of land such as Humber Bay Park. The city of Toronto has a hot summer humid continental climate (Köppen: Dfa) bordering on a warm summer humid continental climate (Köppen: Dfb), with warm, humid summers and cold winters. The city experiences four distinct seasons, with considerable variance in length. Some parts of the north and east of the city such as Scarborough and the suburbs, have a climate classified as humid continental climate (Köppen: Dfb). As a result of the rapid passage of weather systems (such as high- and low-pressure systems), the weather is variable from day to day in all seasons. Owing to urbanization and its proximity to water, Toronto has a fairly low diurnal temperature range. The denser urbanscape makes for warmer nights year around; the average nighttime temperature is about 3.0 °C (5.40 °F) warmer in the city than in rural areas in all months. However, it can be noticeably cooler on many spring and early summer afternoons under the influence of a lake breeze since Lake Ontario is cool, relative to the air during these seasons. These lake breezes mostly occur in summer, bringing relief on hot days. Other low-scale maritime effects on the climate include lake-effect snow, fog, and delaying of spring- and fall-like conditions, known as seasonal lag. Precipitation is fairly evenly distributed throughout the year, but summer is usually the wettest season, the bulk falling during thunderstorms. There can be periods of dry weather, but drought-like conditions are rare. The average yearly precipitation is about 831 mm (32.7 in), with an average annual snowfall of about 122 cm (48 in). Toronto experiences an average of 2,066 sunshine hours, or 45% of daylight hours, varying between a low of 28% in December to 60% in July. According to the classification applied by Natural Resources Canada, Toronto is located in plant hardiness zones 5b to 7a. Lawrence Richards, a member of the Faculty of Architecture at the University of Toronto, has said: "Toronto is a new, brash, rag-tag place—a big mix of periods and styles." Toronto's buildings vary in design and age with many structures dating back to the early-19th-century, while other prominent buildings were just newly built in the first decade of the 21st century. Bay-and-gable houses, mainly found in Old Toronto, are a distinct architectural feature of the city. Defining the Toronto skyline is the CN Tower, a telecommunications and tourism hub. Completed in 1976 at a height of 553.33 metres (1,815 ft 5 in), it was the world's tallest freestanding structure until 2007 when it was surpassed by Burj Khalifa. Through the 1960s and 1970s, significant pieces of Toronto's architectural heritage were demolished to make way for redevelopment or parking. In contrast, since the 2000s, Toronto has experienced a period of architectural revival, with several buildings by world-renowned architects having opened during the late 2000s. Daniel Libeskind's Royal Ontario Museum addition, Frank Gehry's remake of the Art Gallery of Ontario, and Will Alsop's distinctive Ontario College of Art & Design expansion are among the city's new showpieces. The historic Distillery District, located on the eastern edge of downtown has been redeveloped into a pedestrian-oriented arts, culture and entertainment neighbourhood. The pre-amalgamation City of Toronto covers the area generally known as downtown, but also older neighbourhoods to the east, west, and north of downtown. It includes the core of Toronto and remains the most densely populated part of the city. The Financial District contains the First Canadian Place, Toronto–Dominion Centre, Scotia Plaza, Royal Bank Plaza, Commerce Court and Brookfield Place. This area includes, among others, the neighbourhoods of St. James Town, Garden District, St. Lawrence, Corktown, and Church and Wellesley. From that point, the Toronto skyline extends northward along Yonge Street. The inner suburbs are contained within the former municipalities of York and East York. These are mature and traditionally working-class areas, consisting primarily of post–World War I small, single-family homes and small apartment blocks. Neighbourhoods such as Crescent Town, Thorncliffe Park, Weston, and Oakwood–Vaughan consist mainly of high-rise apartments, which are home to many new immigrant families. During the 2000s, many neighbourhoods have become ethnically diverse and have undergone gentrification as a result of increasing population, and a housing boom during the late 1990s and first two decades of the 21st century. The first neighbourhoods affected were Leaside and North Toronto, gradually progressing into the western neighbourhoods in York. Some of the area's housing is in the process of being replaced or remodelled. The production of domestic and foreign film and television is a major local industry. Toronto as of 2011 ranks as the third largest production centre for film and television after Los Angeles and New York City, sharing the nickname "Hollywood North" with Vancouver. The Toronto International Film Festival is an annual event celebrating the international film industry. Another prestigious film festival is the Toronto Student Film Festival, that screens the works of students ages 12–18 from many different countries across the globe. Toronto is Canada's largest media market, and has four conventional dailies, two alt-weeklies, and three free commuter papers in a greater metropolitan area of about 6 million inhabitants. The Toronto Star and the Toronto Sun are the prominent daily city newspapers, while national dailies The Globe and Mail and the National Post are also headquartered in the city. The Toronto Star, The Globe and Mail, and National Post are broadsheet newspapers. Metro and 24 Hours are distributed as free commuter newspapers. Several magazines and local newspapers cover Toronto, including Now and Toronto Life, while numerous magazines are produced in Toronto, such as Canadian Business, Chatelaine, Flare and Maclean's. Toronto contains the headquarters of the major English-language Canadian television networks CBC, CTV, City, Global, The Sports Network (TSN) and Sportsnet. Much (formerly MuchMusic), M3 (formerly MuchMore) and MTV Canada are the main music television channels based in the city, though they no longer primarily show music videos as a result of channel drift. Greektown on the Danforth is home to the annual "Taste of the Danforth" festival which attracts over one million people in 2½ days. Toronto is also home to Casa Loma, the former estate of Sir Henry Pellatt, a prominent Toronto financier, industrialist and military man. Other notable neighbourhoods and attractions include The Beaches, the Toronto Islands, Kensington Market, Fort York, and the Hockey Hall of Fame. Toronto is represented in six major league sports, with teams in the National Hockey League, Major League Baseball, National Basketball Association, Canadian Football League, Major League Soccer and Canadian Women's Hockey League. It was formerly represented in a seventh, the USL W-League, until that announced on November 6, 2015 that it would cease operation ahead of 2016 season. The city's major sports venues include the Scotiabank Arena, Rogers Centre (formerly SkyDome), Coca-Cola Coliseum, and BMO Field. The Toronto Raptors entered the National Basketball Association (NBA) in 1995, and have since earned seven playoff spots and three Atlantic Division titles in 20 seasons. The Raptors are the only NBA team with their own television channel, NBA TV Canada. They and the Maple Leafs play their home games at the Scotiabank Arena. In 2016, Toronto hosted the 65th NBA All-Star game, the first to be held outside the United States. The city is represented in the Canadian Football League by the Toronto Argonauts, who have won 17 Grey Cup titles. Toronto has hosted several National Football League exhibition games at the Rogers Centre. Ted Rogers leased the Buffalo Bills from Ralph Wilson for the purposes of having the Bills play eight home games in the city between 2008 and 2013. Toronto was home to the International Bowl, an NCAA sanctioned post-season football game that pitted a Mid-American Conference team against a Big East Conference team. From 2007 to 2010, the game was played at Rogers Centre annually in January. In 2016, foreign-born persons made up 47.5% of the population, compared to 49.9% in 2006. According to the United Nations Development Programme, Toronto has the second-highest percentage of constant foreign-born population among world cities, after Miami, Florida. While Miami's foreign-born population has traditionally consisted primarily of Cubans and other Latin Americans, no single nationality or culture dominates Toronto's immigrant population, placing it among the most diverse cities in the world. In 2010, it was estimated that over 100,000 immigrants arrive in the Greater Toronto Area annually. Toronto is a single-tier municipality governed by a mayor–council system. The structure of the municipal government is stipulated by the City of Toronto Act. The Mayor of Toronto is elected by direct popular vote to serve as the chief executive of the city. The Toronto City Council is a unicameral legislative body, comprising 44 councillors representing geographical wards throughout the city. The mayor and members of the city council serve four-year terms without term limits. (Until the 2006 municipal election, the mayor and city councillors served three-year terms.) However, on November 18, 2013, council voted to modify the city's government by transferring many executive powers from the mayor to the deputy mayor, and itself. The low crime rate in Toronto has resulted in the city having a reputation as one of the safest major cities in North America. For instance, in 2007, the homicide rate for Toronto was 3.3 per 100,000 people, compared with Atlanta (19.7), Boston (10.3), Los Angeles (10.0), New York City (6.3), Vancouver (3.1), and Montreal (2.6). Toronto's robbery rate also ranks low, with 207.1 robberies per 100,000 people, compared with Los Angeles (348.5), Vancouver (266.2), New York City (265.9), and Montreal (235.3). Toronto has a comparable rate of car theft to various U.S. cities, although it is not among the highest in Canada. Toronto recorded its largest number of homicides in 1991 with 89, a rate of 3.9 per 100,000. In 2005, Toronto media coined the term "Year of the Gun", because of a record number of gun-related homicides, 52, out of 80 homicides in total. The total number of homicides dropped to 70 in 2006; that year, nearly 2,000 people in Toronto were victims of a violent gun-related crime, about one-quarter of the national total. 84 homicides were committed in 2007, roughly half of which involved guns. Gang-related incidents have also been on the rise; between the years of 1997 and 2005, over 300 gang-related homicides have occurred. As a result, the Ontario government developed an anti-gun strategy. In 2011, Toronto's murder rate plummeted to 45 murders—nearly a 26% drop from the previous year. The 45 homicides were the lowest number the city has recorded since 1986. While subsequent years did see a return to higher rates, the nearly flat line of 56 homicides in 2012 and 57 in both 2013 and 2014 continued to be a significant improvement over the previous decade; and the year of 2015 had 55 murders by year end. 2016 went to 73 for the first time in over 8 years. 2017 had a drop off of 12 murders to close the year at 61. Toronto has a number of post-secondary academic institutions. The University of Toronto, established in 1827, is Canada's largest university and has two satellite campuses, one of which is located in the city's eastern district of Scarborough while the other is located in the neighbouring city of Mississauga. York University, Canada's third-largest university, founded in 1959, is located in the northwest part of the city. Toronto is also home to Ryerson University, OCAD University, and the University of Guelph-Humber. There are four diploma- and degree-granting colleges in Toronto. These are Seneca College, Humber College, Centennial College and George Brown College. The city is also home to a satellite campus of the francophone Collège Boréal. The Royal Conservatory of Music, which includes the Glenn Gould School, is a school of music located downtown. The Canadian Film Centre is a film, television and new media training institute founded by filmmaker Norman Jewison. Tyndale University College and Seminary is a Christian post-secondary institution and Canada's largest seminary. The Toronto District School Board (TDSB) operates 588 public schools. Of these, 451 are elementary and 116 are secondary (high) schools. Additionally, the Toronto Catholic District School Board manages the city's publicly funded Roman Catholic schools, while the Conseil scolaire Viamonde and the Conseil scolaire catholique MonAvenir manage public and Roman Catholic French-language schools, respectively. There are also numerous private university-preparatory schools including the University of Toronto Schools, the Upper Canada College and Havergal College. Toronto is home to 20 public hospitals, including: The Hospital for Sick Children, Mount Sinai Hospital, St. Michael's Hospital, North York General Hospital, Toronto General Hospital, Toronto Western Hospital, St. Joseph's Health Centre, Scarborough General Hospital, Scarborough Grace Hospital, Centenary Hospital, Sunnybrook Health Sciences Centre, Centre for Addiction and Mental Health (CAMH), and Princess Margaret Cancer Centre, many of which are affiliated with the University of Toronto Faculty of Medicine. Toronto also has some specialized hospitals located outside of the downtown core. These hospitals include Baycrest for geriatric care and Holland Bloorview Kids Rehabilitation Hospital for children with disabilities. Toronto's main public transportation system is operated by the Toronto Transit Commission (TTC). The backbone of its public transport network is the Toronto subway system, which includes three heavy-rail rapid transit lines spanning the city, including the U-shaped Line 1 and east-west Line 2. A light metro line also exists, exclusively serving the eastern district of Scarborough, but a discussion is underway to replace it with a heavy-rail line. Canada's busiest airport, Toronto Pearson International Airport (IATA: YYZ), straddles the city's western boundary with the suburban city of Mississauga. Limited commercial and passenger service to nearby destinations in Canada and the USA is also offered from the Billy Bishop Toronto City Airport (IATA: YTZ) on the Toronto Islands, southwest of downtown. Toronto/Buttonville Municipal Airport (IATA: YKZ) in Markham provides general aviation facilities. Toronto/Downsview Airport (IATA: YZD), near the city's north end, is owned by de Havilland Canada and serves the Bombardier Aerospace aircraft factory. The Toronto Coach Terminal in downtown Toronto also serves as a hub for intercity bus services in Southern Ontario, served by multiple companies and providing a comprehensive network of services in Ontario and neighboring provinces and states. GO Transit provides intercity bus services from Union Station Bus Terminal and other bus terminals in the city to destinations within the GTA. ↑ Maximum and minimum temperature data at The Annex was recorded by manned observers from March 1840 to June 2003 under the station name "TORONTO". From July 2003 to present, climate data has been recorded by an automatic weather station under the name "TORONTO CITY". 1 2 Benson, Denise. "Putting T-Dot on the Map". Eye Weekly. Archived from the original on November 30, 2007. Retrieved December 5, 2006. ↑ "Why is Toronto called 'Hogtown?'". funtrivia.com. ↑ Johnson, Jessica (August 4, 2007). "Quirky finds in the Big Smoke". The Globe and Mail. Archived from the original on April 16, 2008. ↑ "The real story of how Toronto got its name | Earth Sciences". Geonames.nrcan.gc.ca. September 18, 2007. Archived from the original on December 9, 2011. Retrieved February 10, 2012. 1 2 "(Code 3520005) Census Profile". 2016 census. Statistics Canada. 2017. Retrieved 2017-02-12. 1 2 "Population and dwelling counts, for population centres, 2011 and 2006 censuses". 2011 Census of Population. Statistics Canada. January 13, 2014. Retrieved December 11, 2014. 1 2 "Population and dwelling counts, for census metropolitan areas, 2011 and 2006 censuses". 2011 Census of Population. Statistics Canada. January 13, 2014. Retrieved December 11, 2014. 1 2 "Global city GDP 2014". brookings.edu. Brookings Institution. Archived from the original on June 4, 2013. Retrieved November 18, 2014. ↑ Robert Vipond (April 24, 2017). Making a Global City: How One Toronto School Embraced Diversity. University of Toronto Press. p. 147. ISBN 978-1-4426-2443-6. ↑ David P. Varady (February 2012). Desegregating the City: Ghettos, Enclaves, and Inequality. SUNY Press. p. 3. ISBN 978-0-7914-8328-2. ↑ Ute Husken; Frank Neubert (November 7, 2011). Negotiating Rites. Oxford University Press. p. 163. ISBN 978-0-19-981230-1. ↑ "First Peoples, 9000 BCE to 1600 CE – The History of Toronto: An 11,000-Year Journey – Virtual Exhibits | City of Toronto". toronto.ca. Archived from the original on April 16, 2015. Retrieved April 30, 2015. ↑ Johnson & Wilson 1989, p. 34. ↑ "The early history of York & Upper Canada". Dalzielbarn.com. Retrieved July 14, 2015. ↑ "The Battle of York, 200 years ago, shaped Toronto and Canada: Editorial". thestar.com. April 21, 2013. Retrieved July 14, 2015. ↑ "Timeline: 180 years of Toronto history". Toronto. ↑ Citizenship and Immigration Canada (September 2006). "Canada-Ontario-Toronto Memorandum of Understanding on Immigration and Settlement (electronic version)". Archived from the original on March 11, 2007. Retrieved March 1, 2007. ↑ Flew, Janine; Humphries, Lynn; Press, Limelight; McPhee, Margaret (2004). The Children's Visual World Atlas. Sydney, Australia: Fog City Press. p. 76. ISBN 1-74089-317-4. 1 2 3 4 5 6 "Focus on Geography Series, 2016 Census: Toronto, City (CSD) – Ontario: Immigration and Ethnocultural diversity". Statistics Canada. Retrieved October 31, 2017. ↑ "Diversity – Toronto Facts – Your City. City of Toronto". Archived from the original on April 6, 2015. Retrieved April 2, 2015. ↑ "Social Development, Finance & Administration" (PDF). toronto.ca. City of Toronto. Archived from the original (PDF) on June 18, 2016. Retrieved June 7, 2016. ↑ "Music – Key Industry Sectors – City of Toronto". Archived from the original on July 28, 2015. Retrieved July 30, 2015. ↑ "Quality of Life – Arts and Culture". Retrieved July 30, 2015. ↑ "Film & Television – Key Industry Sectors – City of Toronto". Archived from the original on July 28, 2015. Retrieved July 30, 2015. ↑ "Made here. Seen everywhere. – Film in Toronto – City of Toronto". Archived from the original on July 28, 2015. Retrieved July 30, 2015. ↑ "Ontario's Enertainment and Creative Cluster" (PDF). Retrieved July 3, 2015. ↑ "Culture, The Creative City". Toronto Press Room. Retrieved July 10, 2015. ↑ "Cultural Institutions in the Public Realm" (PDF). Eraarch.ca. Retrieved June 7, 2016. ↑ "Arts and Culture – Living in Toronto". toronto.ca. City of Toronto. Archived from the original on May 4, 2015. Retrieved April 30, 2015. ↑ "Tourism". toronto.ca. City of Toronto. Archived from the original on May 14, 2015. ↑ Melanson, Trevor. "What Toronto's skyline will look like in 2020". Canadian Business. ↑ Torontoist. "The CN Tower is Dead. Long Live The CN Tower!". torontoist.com. ↑ Duffy 2004, p. 154. ↑ Dinnie 2011, p. 21. 1 2 City of Toronto (2007) – Toronto economic overview, Key industry clusters. Retrieved March 1, 2015. ↑ ICF Consulting (February 2000). "Toronto Competes". toronto.ca. Archived from the original on January 27, 2007. Retrieved March 1, 2007. ↑ "Business Toronto – Key Business Sectors". Investtoronto.ca. Retrieved April 30, 2015. ↑ Myrvold & Fahey 1997, pp. 12–18. ↑ See R. F. Williamson, ed., Toronto: An Illustrated History of its First 12,000 Years (Toronto: James Lorimer, 2008), ch. 2, with reference to the Mantle Site. ↑ "The real story of how Toronto got its name". geonnames.nrcan.gc.ca. Natural Resources Canada (2005). Archived from the original on October 16, 2006. Retrieved December 8, 2006. ↑ Hounsom 1970, p. 26. 1 2 Hounsom 1970, p. 27. ↑ Fort Rouillé Archived September 13, 2012, at the Wayback Machine., Jarvis Collegiate Institute (2006). Retrieved December 8, 2006. ↑ Natives and newcomers, 1600–1793, City of Toronto (2006). Retrieved December 8, 2006. ↑ "History of Ontario's Legislative Buildings". ontario.ca. Government of Ontario. Archived from the original on October 22, 2009. Retrieved July 13, 2007. ↑ "Welcome to the birthplace of Toronto". fortyork.ca. Friends of Fort York (2006). Retrieved December 8, 2006. ↑ "Battle of York". Archived from the original on August 20, 2007. Retrieved July 10, 2007. ↑ Black history at the City of Toronto Archives Archived February 2, 2014, at the Wayback Machine., City of Toronto (2009). Retrieved March 13, 2009. ↑ "Slavery Abolition Act 1833 (repealed November 19, 1998)". legislation.gov.uk. UK Government. Retrieved September 13, 2017. ↑ Robertson 1894, p. 25. ↑ "Canada Provinces". Statoids.com. Retrieved April 17, 2010. 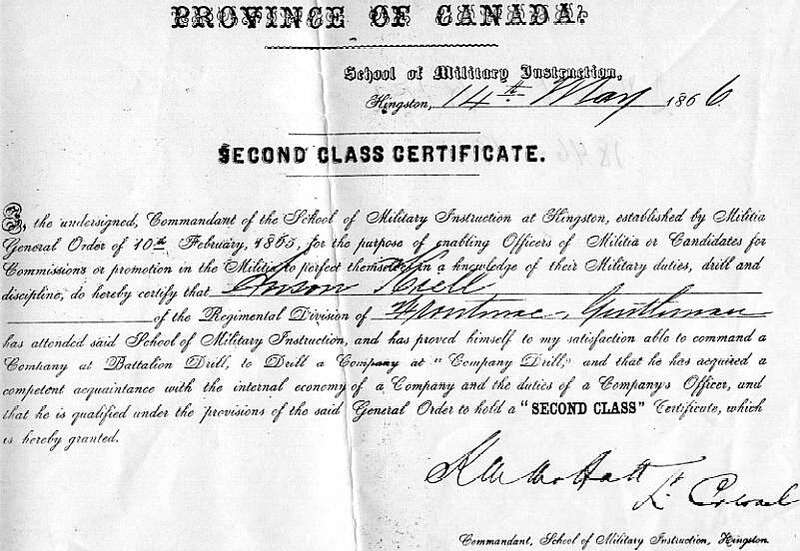 ↑ "Province of Canada : Second Class Certificate". Freepages.genealogy.rootsweb.ancestry.com. Archived from the original (JPG) on April 7, 2016. Retrieved June 7, 2016. ↑ Preston, Richard. Canada's RMC: A History of the Royal Military College of Canada. RMC Club by U of Toronto Press. 1 2 Toronto transit chief says searches unlikely (2005). Retrieved February 3, 2007. ↑ "Westward ho? The shifting geography of corporate power in Canada". Journal of Canadian Studies. 2002. Archived from the original on March 30, 2008. Retrieved January 14, 2007. ↑ "Municipality of Metropolitan Toronto Act". e-laws.gov.on.ca. Government of Ontario. 2000. Retrieved December 29, 2006. ↑ "SOS! Canadian Disasters". collectionscanada.gc.ca. Library and Archives Canada. 2006. Retrieved December 19, 2008. ↑ Witten, David (2016). "Why is Toronto Called the Six". mathwizurd.com. Retrieved June 2, 2017. ↑ Laurance, Jeremy (April 23, 2003). "One family went on holiday – and made Toronto a global pariah". The Independent. Retrieved May 22, 2018. ↑ "More than 1,000 people detained during G20 summit in Toronto can sue police". The Guardian. Guardian News and Media Limited. Retrieved July 15, 2016. ↑ "Environment Canada answers the question: Where was Toronto's severe thunderstorm warning?". Global Toronto. July 9, 2013. Retrieved July 18, 2013. ↑ "Showing off a world of Pride". Toronto Star. Toronto Star Newspapers Ltd. Retrieved July 15, 2016. ↑ "Official Site". toronto2015.org. TORONTO 2015 Pan Am / Parapan Am Games. Retrieved July 15, 2016. ↑ Population statistics and land area, Statistics Canada (2001). Retrieved December 5, 2006. ↑ "Getting Here". toronto.ca. City of Toronto. Retrieved February 14, 2008. ↑ "City of Toronto: Toronto Facts, Toronto's geography". Toronto.ca. City of Toronto. October 23, 2000. Retrieved December 6, 2009. ↑ Longley, Richard (September 14, 2017). "Tempestuous isle: A tragic history of Toronto Islands". NOW Magazine. Retrieved February 14, 2018. 1 2 "Canadian Climate Normals 1981-2010 Station Data". Environment Canada. Retrieved 30 August 2018. 1 2 "What are we studying and why?" (PDF). Toronto's Future Weather and Climate Driver Study. City of Toronto. 2011. Archived from the original (PDF) on August 20, 2015. Retrieved September 20, 2015. 1 2 3 4 5 "Why is Weather in Toronto the way it is?" (PDF). Toronto's Future Weather and Climate Driver Study. City of Toronto. 2011. Archived from the original (PDF) on August 20, 2015. Retrieved September 20, 2015. 1 2 3 4 5 6 "Weather Expectations". toronto.ca. City of Toronto. Archived from the original on September 9, 2015. Retrieved September 20, 2015. 1 2 3 "The Annex". 1981 to 2010 Canadian Climate Normals. Environment Canada. February 13, 2014. Climate ID: 6158350. Retrieved February 24, 2014. ↑ Service, Government of Canada, Natural Resources Canada, Canadian Forest. "Canada's Plant Hardiness Site". Planthardiness.gc.ca. Retrieved June 7, 2016. ↑ Service, Government of Canada, Agriculture and Agri-Food Canada. "Plant Hardiness Zones of Canada". agr.gc.ca. Retrieved July 11, 2017. ↑ "Monthly Data Report for 1840". Canadian Climate Data. Environment Canada. June 22, 2016. Climate ID: 6158350. Retrieved July 15, 2016. ↑ "Monthly Data Report for 2003". Canadian Climate Data. Environment Canada. June 22, 2016. Climate ID: 6158350. Retrieved July 15, 2016. ↑ "Monthly Data Report for 2003". Canadian Climate Data. Environment Canada. June 22, 2016. Climate ID: 6158355. Retrieved July 15, 2016. ↑ Shum, David; Miller, Adam (February 23, 2017). "Toronto breaks warmest February day ever recorded". Global News. ↑ "Daily Data Report for October 2007". Canadian Climate Data. Environment Canada. June 22, 2016. Climate ID: 6158355. Retrieved July 15, 2016. ↑ "Daily Data Report for February 2017". Canadian Climate Data. Environment Canada. August 9, 2016. Climate ID: 6158355. Retrieved February 24, 2017. ↑ "Toronto Architecture". Archived from the original on November 1, 2011. ↑ Dubai building surpasses CN Tower in height, CTV Television Network (2007); retrieved September 13, 2007. ↑ "CN Tower no longer world's tallest". Toronto Star. Toronto Star Newspapers Ltd. Retrieved July 16, 2016. ↑ Most of these buildings are residential, whereas the central business district contains commercial office towers. There has been recent attention given for the need to retrofit many of these buildings, which were constructed beginning in the 1950s as residential apartment blocks to accommodate a quickly growing population. As of November 2011, the city had 132 high-rise buildings under construction. "Highrises? We're tops on the continent". Toronto Star. TheStar.com. October 5, 2011. "Some 132 tall buildings are currently rising in Toronto, by far the most in North America.". Retrieved April 18, 2014. ↑ "Toronto's Cultural Renaissance". livewithculture.ca.ca. City of Toronto. 2005. Archived from the original on November 11, 2007. ↑ "The Distillery Historic District". Toronto.com. Retrieved July 16, 2016. ↑ "History of Wychwood Park". torontoneighbourhoods.net. Maple Tree Publishing. Retrieved July 16, 2016. ↑ "Casa Loma". casaloma.org. Liberty Entertainment Group. Retrieved July 16, 2016. ↑ "Spadina Museum: Historic House & Gardens". toronto.ca. City of Toronto. Archived from the original on July 4, 2016. Retrieved July 16, 2016. ↑ Fox, Paul L. (March 12, 1953). "Plan town of 45,000 on Don Mills farms; Will cost 10,000,000". Toronto Star. p. 3. 1 2 "Junction Stockyards". torontohistory.net. Toronto Historical Association. Retrieved September 13, 2017. ↑ Flack, Derek (August 24, 2011). "What King West looked like in the 1980s". blogTO. ↑ "Port Lands Acceleration Initiative – City Planning – Your City | City of Toronto". Archived from the original on February 5, 2017. Retrieved February 4, 2017. ↑ "Ashbridge's Bay". Leslieville Historical Society. April 13, 2015. Retrieved February 4, 2017. ↑ "City Announces Next Steps in Port Lands Revitalization | Urban Toronto". urbantoronto.ca. Retrieved February 4, 2017. ↑ "East Harbour". eastharbour.ca. First Gulf. Retrieved September 13, 2017. ↑ "Urban Design: Cloud Garden Park". Lost Streams, Toronto, Web site. Retrieved March 27, 2009. 1 2 Armstrong, James; McAllister, Mark (April 5, 2013). "Toronto boasts thousands of hectares of parkland". Global News. Retrieved October 1, 2015. ↑ "Ontario hands over last piece of land for Rouge National Urban Park, but skeptics remain". CBCNews. Canadian Broadcasting Corporation. October 22, 2017. Retrieved March 7, 2018. ↑ "Corporate History". IMAX.com. Retrieved December 3, 2012. ↑ "$100M revitalization plan for Ontario Place". Toronto Sun. Retrieved July 16, 2016. ↑ "Film and Television Industry: 2011 Year in Review" (PDF). toronto.ca. City of Toronto. September 1, 2012. ↑ Scott, Vernon. "Toronto Now Called Hollywood of North". Sarasota Herald-Tribune. p. 12B. Retrieved June 10, 2011. ↑ "New numbers confirm Toronto's rank as Hollywood North". toronto.ca. City of Toronto. Retrieved January 1, 2007. ↑ "SARS costs for 'Hollywood North' and more". CBC News. March 9, 2004. Archived from the original on March 30, 2008. Retrieved January 1, 2007. ↑ Toronto Caribbean Carnival (Caribana) Festival 2006, WORD Magazine (2006). Retrieved December 11, 2006. ↑ "The Caribana success story". Toronto Star. May 3, 2010. Retrieved June 1, 2010. ↑ Media Job Search Canada Archived April 14, 2015, at the Wayback Machine. Media Job Search Canada (2003). Retrieved May 8, 2007. ↑ "About the Toronto Zoo". torontozoo.com. Toronto Zoo. Archived from the original on September 11, 2007. Retrieved October 11, 2007. ↑ Buhasz, Laszlo (May 7, 2003). "Uncaging the zoo". Globe and Mail. Toronto. Archived from the original on April 11, 2008. Retrieved October 11, 2007. ↑ "CNE – About Us]". cnedirect.com. Canadian National Exhibition. 2006. Archived from the original on May 9, 2012. Retrieved December 29, 2006. ↑ City of Toronto (2007). "Who uses the square (Demographics)]". Yonge Dundas Square. Retrieved April 12, 2008. ↑ "Welcome to the Taste of the Danforth". Archived from the original on April 1, 2007. Retrieved July 7, 2007. ↑ News from wleaguesoccer.com Archived November 19, 2015, at the Wayback Machine. ↑ "Equalizer Soccer – USL W-League, once top flight, folds after 21 seasons". Equalizersoccer.com. Retrieved June 7, 2016. ↑ "Toronto to host 2016 All Star Game". AllStarweekendToronto. Retrieved February 13, 2016. ↑ W., T.A. (March 8, 2017). "Rugby league's Toronto Wolfpack are the first transatlantic sports team". economist.com. Retrieved March 12, 2017. ↑ Hall, Joseph (October 30, 2015). "Toronto Rush takes flight with American Ultimate Disc League". The Star. Retrieved October 30, 2015. ↑ "American Ultimate Disc League". Retrieved October 30, 2015. ↑ "History of the TUC". Retrieved October 30, 2015. ↑ "Toronto 2015 Pan American Games Bid Officially Launched". GameBids.com. Archived from the original on October 19, 2008. ↑ Cayley, Shawn (August 12, 2014). "Countdown is on to Pan American and Parapan American Games in Durham Region". durhamregion.com. Metroland Media Group. Retrieved August 31, 2014. ↑ Byers, Jim (July 10, 2007). "Third time lucky for T.O. Games bid?, TheStar.com, 2007". The Star. Toronto. Retrieved May 25, 2010. ↑ Market Statistics Archived February 9, 2010, at the Wayback Machine. Toronto Stock Exchange (2006). Retrieved May 11, 2007. ↑ "EI Economic Region of Toronto". services.gc.ca. Government of Canada. Retrieved July 16, 2016. ↑ "Cost of Living in Canada". Numbeo. Retrieved November 4, 2017. ↑ "America: Cost of Living Index by City 2017 Mid-Year". Numbeo. Retrieved November 4, 2017. ↑ "Are We Making Any Progress in Reducing Poverty in Toronto?". TorontoVitalSigns.ca. Archived from the original on March 19, 2016. Retrieved September 27, 2017. 1 2 3 4 5 "Census Profile, 2016 Census: Toronto, City [Census subdivision], Ontario and Canada [Country]". Statistics Canada. Retrieved October 31, 2017. 1 2 Francine Kopun; Nicholas Keung (December 5, 2007). "A city of unmatched diversity". Toronto Star. Retrieved October 7, 2008. ↑ "A few frank words about immigration". The Globe and Mail. October 7, 2010. Retrieved February 8, 2014. 1 2 "National Household Survey (NHS) Profile, 2011". statcan.gc.ca. Government of Canada. Retrieved April 18, 2014. ↑ "Toronto in Transition: Demographic Change in the Late Twentieth Century Archived March 10, 2012, at the Wayback Machine.". (PDF). CERIS – The Ontario Metropolis Centre. ↑ Javed, Noor (March 10, 2010). "Visible Minority Will Mean White by 2013". Toronto Star. ↑ Jeff Clark (2013). "Toronto Visible Minorities" (Map). Neoformix. Retrieved September 12, 2015. ↑ Various Languages Spoken – Toronto CMA, Statistics Canada (2006); retrieved September 9, 2009. ↑ Language used at work by mother tongue in Toronto CMA, Statistics Canada (2001). Retrieved December 5, 2006. ↑ Language used at work by mother tongue (City of Toronto), Statistics Canada (2001); retrieved December 5, 2006. ↑ "Francophones in Ontario – 2011 Census Data". ofa.gov.on.ca. Government of Ontario – Ministry of Francophone Affairs. June 13, 2014. Retrieved November 25, 2015. ↑ "Focus on Geography Series, 2011 Census – Language". statcan.gc.ca. Statistics Canada. April 17, 2014. Retrieved November 25, 2015. ↑ "9-1-1 = EMERGENCY in any language". toronto.ca. City of Toronto. Archived from the original on October 28, 2014. Retrieved January 5, 2007. ↑ "Council Members". toronto.ca. City of Toronto. Archived from the original on July 15, 2016. Retrieved July 17, 2016. ↑ "'Taking the keys' from Mayor Rob Ford: How Toronto councillors voted". thestar.com. November 18, 2013. 1 2 "Toronto City Council and Committees". toronto.ca. City of Toronto. Retrieved July 17, 2016. ↑ "Directory of committees, task forces and round tables". toronto.ca. City of Toronto. Retrieved March 18, 2007. ↑ "Overview – City Budget – Budget & Finances". toronto.ca. City of Toronto. Archived from the original on September 14, 2017. Retrieved September 13, 2017. 1 2 "Budget 2017 Charts" (PDF). toronto.ca. City of Toronto. Archived from the original (PDF) on July 26, 2017. Retrieved September 13, 2017. 1 2 Statistics Canada; The Daily (July 21, 2006). "Crime statistics". Archived from the original on October 24, 2008. Retrieved March 5, 2007. ↑ "Crime and Safety". Torontoisms. Archived from the original on March 30, 2008. 1 2 "Despite rise, police say T.O. murder rate 'low'". Ctv.ca. December 26, 2007. Retrieved April 17, 2010. ↑ "FBI statistics 2008". Fbi.gov. Archived from the original on April 12, 2010. Retrieved April 17, 2010. ↑ Topping, David (July 22, 2008). "Metrocide: A History of Violence". Torontoist. Retrieved April 17, 2010. ↑ "Story – News". Vancouver Sun. Canada. March 15, 2009. Archived from the original on April 18, 2009. Retrieved April 17, 2010. ↑ "Bilan chiffres_A_new" (PDF). Retrieved April 17, 2010. ↑ "Vancouver.ca" (PDF). Archived from the original (PDF) on June 23, 2010. Retrieved April 17, 2010. ↑ "2007annrep_draft_daily_2008_03_26.xlsm" (PDF). torontopolice.on.ca. Retrieved April 17, 2010. ↑ "GunControl.ca" (PDF). Archived from the original (PDF) on October 17, 2010. Retrieved October 17, 2010. ↑ "Double murder occurred on Christmas Day: police". Ctv.ca. December 27, 2007. Archived from the original on February 14, 2009. Retrieved April 17, 2010. ↑ "CTV Toronto – Toronto sets a new record for gun-related carnage – CTV News, Shows and Sports – Canadian Television". Toronto.ctv.ca. Archived from the original on December 27, 2009. Retrieved April 17, 2010. ↑ "Gun crime in Metro Vancouver highest per capita in Canada". Archived from the original on February 14, 2009. ↑ "Ministry of the Attorney General – Backgrounder". Attorneygeneral.jus.gov.on.ca. October 25, 2005. Retrieved April 17, 2010. ↑ Doucette, Chris (December 31, 2011). "Toronto murder rate plummets in 2011". Toronto Sun. Retrieved February 18, 2012. ↑ "TPS Crime Statistics – Year to Date Shootings & Homicides". torontopolice.on.ca. Toronto Police Service. November 23, 2015. Archived from the original on November 26, 2015. ↑ "About Us". tdsb.on.ca. Toronto District School Board. Retrieved November 26, 2016. ↑ "Key Facts: Media". Torontopubliclibrary.ca. Toronto Public Library. Retrieved October 17, 2010. ↑ "Scarborough Civic Centre Branch: Hours & Locations: Toronto Public Library". Toronto Public Library. Retrieved September 5, 2015. ↑ "Toronto Public Library contributes 63 millionth record" OCLC (February 3, 2006). Retrieved July 8, 2007. Archived February 24, 2006, at the Wayback Machine. 1 2 3 4 "Study sheds light on ER wait times in Ontario". cbc.ca. Canadian Broadcasting Corporation. January 25, 2007. Archived from the original on December 11, 2008. Retrieved April 17, 2010. ↑ Toronto Discovery District FAQ Archived September 28, 2007, at the Wayback Machine., Toronto Discovery District (2006). Retrieved December 5, 2006. ↑ "Medical and Related Sciences Centre". marsdd.com. Medical and Related Sciences Centre. 2006. Retrieved December 5, 2006. ↑ "McLaughlin Centre for Molecular Medicine (MCMM)". mclaughlin.utoronto.ca. 2006. Retrieved December 5, 2006. ↑ "Metrolinx Eglinton Crosstown LRT". www.metrolinx.com. Retrieved May 1, 2015. ↑ "More Transit for Toronto | Crosstown". www.thecrosstown.ca. Retrieved May 1, 2015. ↑ "Ontario Moving Forward with Finch West Light Rail Transit Project". news.ontario.ca. Retrieved May 1, 2015. ↑ "Info to GO" (PDF). GO Transit. Archived from the original (PDF) on March 6, 2012. Retrieved May 24, 2011. ↑ Lewington, Jennifer; McLeod, Lori (November 2007). "Underground mall in store for Union Station makeover". Globe and Mail. Toronto. Retrieved November 3, 2015. ↑ "Metrolinx Regional Express Rail". www.metrolinx.com. Metrolinx. Retrieved May 1, 2015. ↑ Maier, Hanna (October 9, 2007). "Chapter 2". Long-Life Concrete Pavements in Europe and Canada. fhwa.dot.gov (Report). Federal Highway Administration. Retrieved May 1, 2010. The key high-volume highways in Ontario are the 400-series highways in the southern part of the province. The most important of these is the 401, the busiest highway in North America, with average annual daily traffic (AADT) of more than 425,000 vehicles in 2004, and daily traffic sometimes exceeding 500,000 vehicles. ↑ "Ontario government investing $401 million to upgrade Highway 401". ogov.newswire.ca. Ontario Ministry of Transportation. August 6, 2002. Archived from the original on September 14, 2007. Retrieved March 18, 2007. Highway 401 is one of the busiest highways in the world and represents a vital link in Ontario's transportation infrastructure, carrying more than 400,000 vehicles per day through Toronto. ↑ "TomTom Congestion Index: North America". tomtom.com. Retrieved September 13, 2017. 1 2 "International Alliance Program". City of Toronto. Archived from the original on 2012-08-04. Retrieved 2013-06-16. ↑ "Lisboa – Geminações de Cidades e Vilas" [Lisbon – Twinning of Cities and Towns]. Associação Nacional de Municípios Portugueses [National Association of Portuguese Municipalities] (in Portuguese). Retrieved August 23, 2013. ↑ "Acordos de Geminação, de Cooperação e/ou Amizade da Cidade de Lisboa" [Lisbon – Twinning Agreements, Cooperation and Friendship]. Camara Municipal de Lisboa (in Portuguese). Archived from the original on October 31, 2013. Retrieved August 23, 2013. ↑ "Pesquisa de Legislação Municipal – No 14471" [Research Municipal Legislation – No 14471]. Prefeitura da Cidade de São Paulo [Municipality of the City of São Paulo] (in Portuguese). Archived from the original on October 18, 2011. Retrieved August 23, 2013. Hounsom, Eric Wilfrid (1970). Toronto in 1810. Toronto: Ryerson Press. ISBN 0-7700-0311-7. Johnson, James Keith; Wilson, Bruce G. (1989). Historical Essays on Upper Canada: New Perspectives. McGill-Queen's Press. ISBN 0886290708. Akler, Howard; Hood, Sarah (2003). Toronto: The Unknown City. Arsenal Pulp Press. ISBN 1-55152-146-6. Careless, J. M. S (1984). Toronto to 1918: An Illustrated History. J. Lorimer and National Museum of Man. ISBN 0-88862-665-7. Fulford, Robert (1995). Accidental city: the transformation of Toronto. Toronto: Macfarlane, Walter & Ross. ISBN 0-921912-91-9. Also ISBN 1-55199-010-5 (paperback). Phillips, Robert; Bram, Leon; Dickey, Norma (1971). Funk & Wagnalls New Encyclopedia. Vol. 23. New York: Funk & Wagnalls. ISBN 0-8343-0025-7. Rayburn, Alan (2001). Naming Canada: stories about Canadian place names (2nd ed.). Toronto: University of Toronto Press. ISBN 0-8020-8293-9.